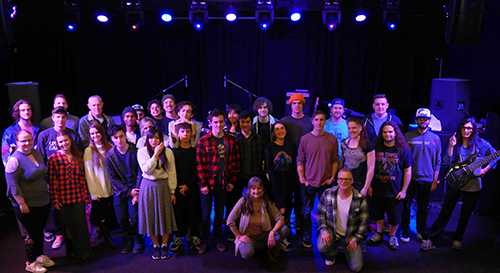 Students in the Selkirk College Contemporary Music & Technology Program are bringing months of hard work to the stage at Spiritbar on April 18 for the annual Year-End Celebration Show. The community is invited to a fabulous evening of eclectic music courtesy an ultra-talented group of students and program instructors. Learn more about the Contemporary Music & Technology Program and join us on Facebook.